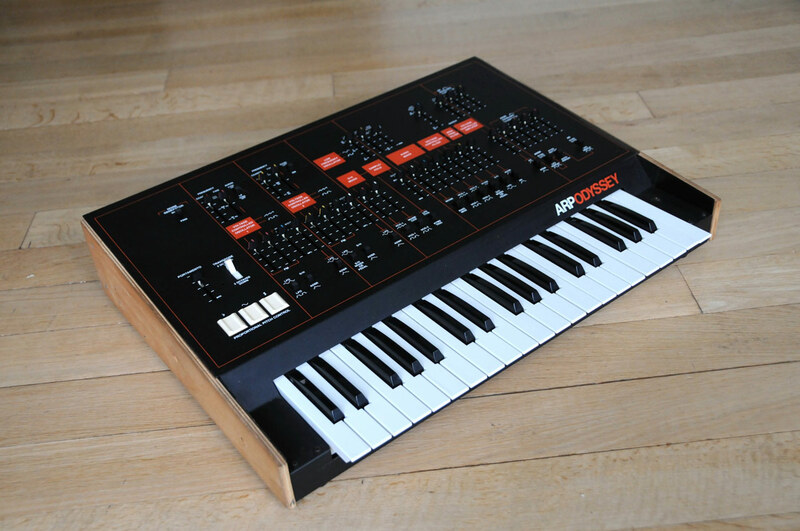 As the legendary first compact studio synthesizer, the Minimoog, proved to be a runaway success, ARP responded with a compact user-friendly studio synthesizer of their own with the Odyssey. 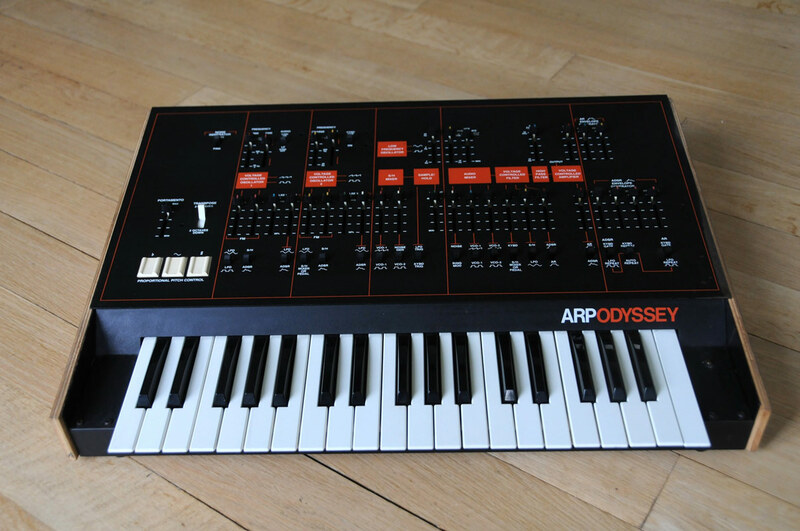 An almost equally legendary machine itself (the Odyssey was ARP’s highest selling synth), it essentially offers you a somewhat scaled-down & hard-wired ARP 2600 in a much smaller and more affordable package. The Odyssey is a 2-oscillator analog synth (with duo-phonic capability). It comes well equipped with all the features one would expect: resonant low pass filter, ADSR envelopes, sine or square wave LFO and even a sample-and-hold function. It also added a few new features such as a high pass filter in series with the low pass, oscillator-sync capability and pulse-width modulation. It is a very professional and expressive machine that can create nice analog basses, interesting leads and great effects and sweeping sounds or noises. Odyssey III – Models 2820-2823 were produced from 1976-81 and featured the new Model 4075 filter design. In addition to its 1/4″ outputs, XLR outputs have been added. The rest of its specifications are virtually identical to the Odyssey Mk II except that the overall look and quality were further updated to with the orange & black color-scheme.